Carolin Pinegger is the second member of the Big Break Myrtle Beach cast who played collegiate golf at Central Florida (joining Katie Detlefsen). Carolin is from Austria and now resides in Florida. She spent five years as a member of the Austrian national golf team (2002-07) as a junior golfer. She moved to the United States at age 16 to attend the IMG Academy. From there, she graduated to UCF. 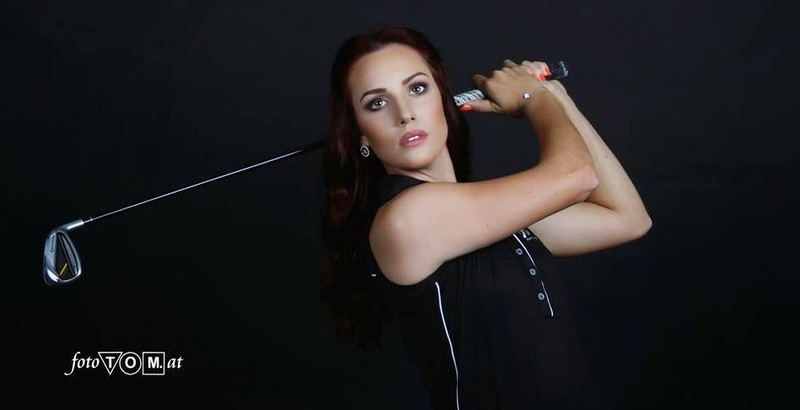 She turned pro in 2013 and reached the final stage of LPGA Q-School last year. That earned her status on the Symetra Tour. And in 2014, Pinegger is in her rookie year as a tour pro, playing on the Symetra Tour. She's made 14 starts so far with a top finish of 27th at the Volvik Championship in February.